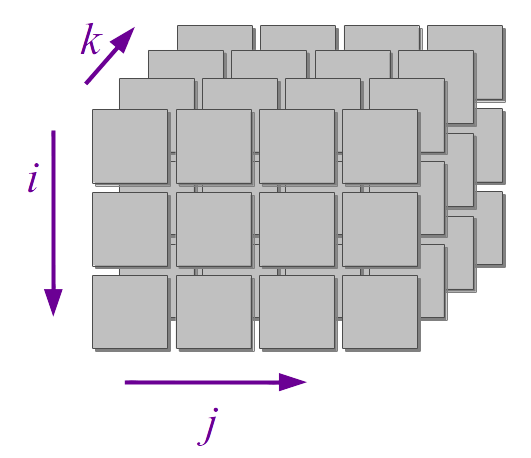 Declare and initialize a 3D array x, having dimensions boundaries m, n, p, and containing real numbers. X = array(M, N, P). -spec array(pos_integer(), pos_integer(), pos_integer()) -> [[[float()]]]. array(M, N, P) -> [array(M, N)  || _ <- lists:seq(1, P)]. array(M, N) -> [array(M) || _ <- lists:seq(1, N)]. array(M) -> [rand:uniform() || _ <- lists:seq(1, M)].